Leading Valiantly – Is It Safe? When you or any of us leads with valor, we lean into our innate bravery to take a stand. Even if we are not sure of the reception we will receive, we act from a place of integrity. We lead with the courage of our convictions and we draw on our competence and our hard earned experience. We know we are taking risks, yet they are not ill-conceived. We put thought into our positions and we are comfortable enough as professionals and leaders to accept the consequences. But let’s think about valiant leadership from a different perspective. 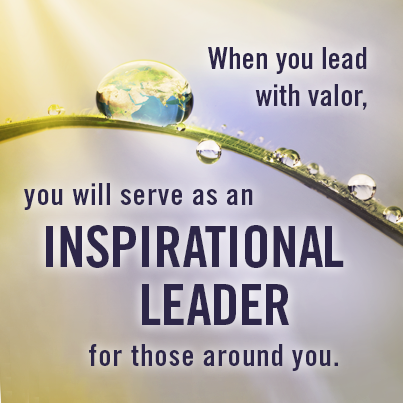 Yes, we may know what it takes to lead with valor when we’re doing it, but let’s view leadership valor from another lens: those who work for us. Do we provide an environment that encourages our colleagues to lead their own professional lives with integrity? Do we intentionally invite their input in and understanding of our departmental and organizational values? Do we create a climate in which our direct reports are free to speak out when they believe it will better serve patient care? Do we believe and act as if their professional choices are based on their hard won competence and experience? These are all questions to consider when we are leading with valor. Our work as leaders will be more successful, easier and more fulfilling when we are not carrying the mantel of valiant leadership alone. This entry was posted in Blog and tagged Executive Presence, Healthcare, Integrity, Leader, Leadership, Manager, Nurse. Bookmark the permalink.